I know this is not at all a professional way to start a book review, but I CAN’T EVEN WITH THIS. The main reason I am writing a review is that I NEED to continue processing what I have read and everyone in my life is tired of hearing me talk about this (sorry, Chuck). So I need one – or multiples – of you to read this book so that we can discuss like Coffee Talk with Linda Richmond! Don’t let my enthusiasm scare you into thinking this is a brain-washing cult. Just click here to order from Amazon (I’ll get a few cents if you use this link) and then I’ll explain in the next couple of paragraphs why you have made a wise purchase. 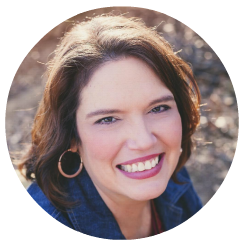 I consume a lot of Christian media – fiction and non-fiction books, movies, blogs and podcasts. Pretty much everything but music. Go figure. 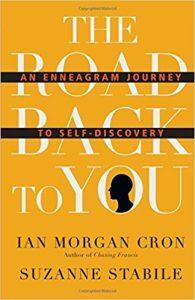 For the last several months it seems like everything I have read and listened to with a Believer’s bent has referenced the Enneagram. I honed in on the fact that it was some kind of personality typing, but felt out of the loop every time someone mentioned their “number” or asked their fellow conversant where they fell on the scale. I decided I needed the low down on a) what it was, and b)why faith-based influencers were so into it. A quick internet search lead me to this current, popular exploration of the ancient system and how it ties into our spirituality. I haven’t been able to stop thinking about it. The Enneagram has 9 basic personality types that I cannot get into here or I will be digging a hole I will not be able to get out of and you would never read. But each of the nine types is more susceptible to one of the 7 deadly sins (plus fear and deceit) than other temptations. This is one of the main ways the Enneagram sets itself apart from other personality inventories. It doesn’t simply seek to explain to you what you are for knowledge sake, but helps you identify the weaknesses that stand in the way of a deeper relationship with the Creator of who you are. The book dedicates an entire chapter to each of the 9 types explaining their common characteristics, what it’s like to be that type (or number), their deadly sin, how they manifested their number in childhood, and even some famous examples of the type. Perhaps the most interesting information is how each number might correspond to the numbers next to it on the Enneagram circle and what number each type gravitates to in times of security and times of stress. It sounds a little complicated, but it has taken just enough of my band-width to keep me sucked in. I love awakening to myself in the different types, as well as trying to type my loved ones to learn how I can better interact with them (although the book warns against telling anyone that you have them all figured out ;). I won’t bother telling you what I think I am for two reasons. First, it won’t mean much to you if you haven’t read the book; and second, I’m not 100% sure. I need to read another book for an assignment, so I have forced myself to put this one down for the time being. But I plan to pick it back up and re-read a few of the chapters for verification. This is huge for me! I never, ever re-read. The list of books I WANT to read is so long that I am a one-and-done girl. But not this time. And THAT is the best endorsement I can give you to read this book! I don’t think you will regret it! I’ve done the Enneagram and bought a different book to do it in the past, Lauren. But I do love looking at our personality tendencies from all sorts of angles, so this book is one I’m going to have to check out! 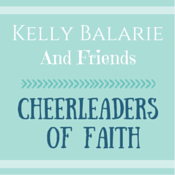 Thanks so much for sharing and I’ll be pinning to my Book Review board! I think you will enjoy it, Beth. Lauren I had to click over to this because I have this book on my to-read list already and wanted hear your review. I will try and remember to click through your link here when I get it! Would love to hear your thoughts after or during your read! It’s so funny. I’ve seen Enneagram all over too, and for some reason I’ve yet to embrace it. Maybe I should give it a shot! And also, congrats on winning Worthy: Believe Who God Says You Are! Sending out your package today! Thanks for this great review. My closest friends have been studying this also, so we have had many discussions about it, even though I have yet to read the book. I think I may need to catch up! Mmmmm! Being a professional therapist I find this review interesting…In so many ways…. Sounds fascinating, Lauren! I may have to check it out…after my other bedside-full-of-books, that is! 😉 I’ve taken the enneagram test before, and I was blown away by how accurate it was! So fascinating that I’ve just ordered another book on it!